Patch of Land is an online marketplace that connects real estate investors and borrowers. Investors lend money in the hopes of earning passive income while borrowers have an alternative source of financing for their real estate needs. Like other crowdfunding real estate platforms, Patch of Land pools money from lots of investors, who can more easily diversify risk than if they were looking to invest solo in a single real estate project. Investors can earn up to 12% annually while borrowers can find rates as low as 7.99% and receive funding in as fast as 7 days. For investors, the returns are quite a bit higher than some other crowdfunding platforms because the duration of investments is shorter, usually less than one year. Investors should keep in mind that while annual returns can seem very attractive, default risk generally increases when borrowers pay higher rates, so these deals may be more risky than if you were investing in a commercial real estate property with a Fortune 500 company as a tenant. Many of the deals featured are fixer-uppers and flips, which some other platforms avoid because of the higher risk. Nonetheless, if you are an accredited investor who can take on some extra risk in order to target higher returns, Patch of Land is an A-rated firm by the Better Business Bureau with a pedigreed executive team, including CEO Paul Deitch, formerly of Oaktree Capital Management, Bank of America, and KPMG. Why Choose Patch of Land? Patch of Land offers investors the potential to earn higher returns than those possible investing in bonds and bank savings accounts. Plus, you can diversify risk compared to investing solo, sign documents online, and track investment progress in an online dashboard at anytime. Getting access to good real estate deals generally requires investors to have an information advantage over others as well as a lot of capital to take advantage of deals. 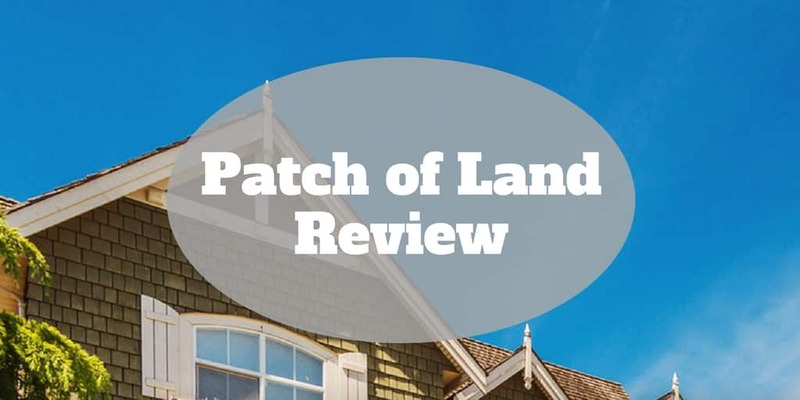 Patch of Land is designed for accredited investors who may not have a lot of knowledge about real estate investing but still want exposure in their portfolio to the real estate sector. By pooling investors’ money, Patch of Land can lower the entry barrier to any single investor getting started. Instead of needing tens or hundreds of thousands of dollars, Patch of Land imposes a minimum of $5,000 to get access to deals. The idea is to allow investors to diversify risk across a wide variety of projects. If you were interested in buying a property worth $500,000 by yourself and needed to contribute $100,000 in cash, your risk would be highly concentrated in that single investment. But with Patch of Land, you could allocate that same $100,000 to as many as twenty different property deals in order to lower your risk exposure to any single investment going sour. Plus, you don’t have to scout for deals yourself because Patch of Land does the hard work of sourcing and verifying deals for you. In fact, they go a step further by underwriting and co-investing in the deals they feature online, so their incentives are tied to your own. And when you are ready to get started, Patch of Land has built a technology platform designed to streamline formerly tedious processes, such as executing legal documents to close deals. Where Patch of Land stands out as an attractive investment alternative is that deals are short-term in duration and have high interest rates, so you have the potential to earn a high return that beats the yields offered by bank savings accounts and bonds. Anytime you want to track your investments, you can view them online in a dashboard so you are not left wondering how your investment is performing for months at a time as would you ordinarily would when investing in property deals. 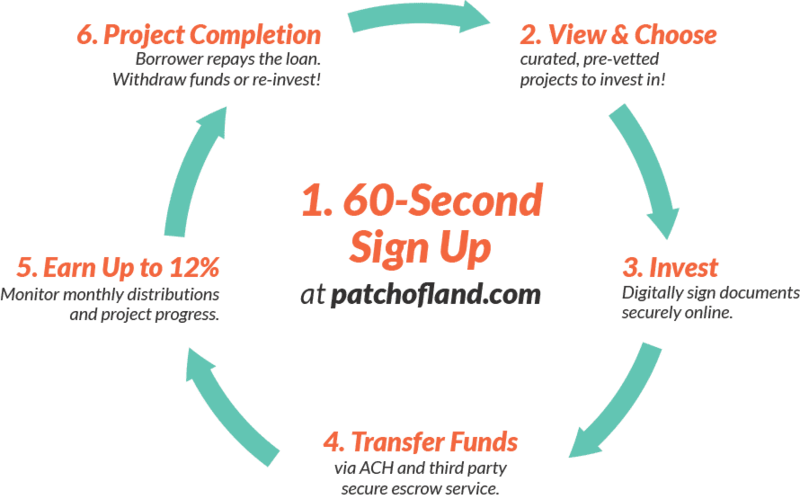 From start to finish, you can purchase a share of property online with Patch of Land. Everything from choosing a property deal to reviewing financials or a deal prospectus and all the way to signing documents is completed online. Patch of Land displays a curated list of pre-vetted property deals to its members. You can view photos and appraisals, and review financials online. Investment opportunities are generally short-term – less than one year – though some deals have longer durations. The investment opportunities are spread across the U.S. with Florida, Georgia, Texas, Maine, Indiana, Michigan, California, and a host of other states featuring in the list. Once you select a deal that meets your needs, you can enter your funding amount and sign the Investor Agreement. To pay for the investment, you can use automatic bank draft or wire and you will transfer funds via ACH and a third party secure escrow service. After that, you can sit back and enjoy monthly distributions because Patch of Land takes care of the rest. Anytime you want to monitor how your investment is doing, you can log on to your online dashboard to view real-time reports. And if you want to see past investments or re-invest you can do so in the dashboard also. When the project concludes and the borrower repays the loan, you can withdraw any funds in your account or re-invest them into a new deal. When you invest with Patch of Land, you own a share of a promissory note as opposed to land or property directly. Online portals that specialize in real estate crowdfunding are numerous, and each has its own twist. If you want to own property directly, Roofstock is your best bet. If you want access to commercial real estate, Realty Mogul, Fundrise, or RealtyShares, are good options. When you invest with Patch of Land, you won’t actually own property directly, but instead you are investing in a promissory note, called a “borrower payment dependent note”, that gives you a shared interest in a project alongside other investors. Through these notes, you can invest primarily in residential opportunities, single or multi-family, as well as some commercial deals. 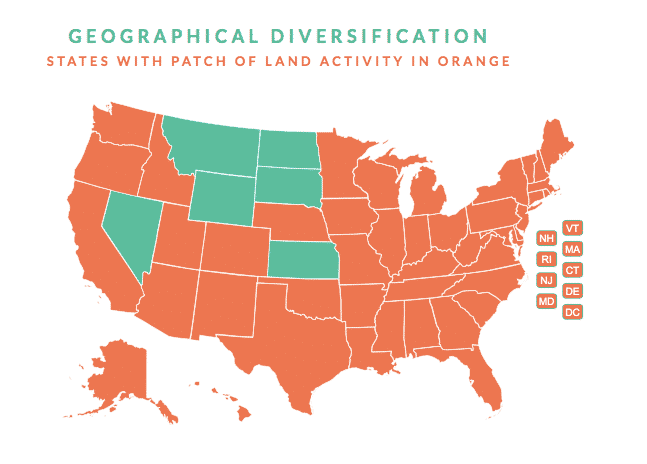 You can invest in properties all across the U.S. with few exceptions, so that you minimize risk of loss through a geographically diversified portfolio. Accredited investors can own pre-vetted properties that diversify risk for short durations in taxable or self-directed IRA accounts. Keep in mind a lot of the deals are fixer-uppers with borrowers paying high interest rates, so compared to other platforms that are tailored to commercial real estate deals, risk may be higher. ✅ Pre-Vetted Investments: Patch of Land pre-screens investments and both underwrites and co-invests in deals. ❌ Illiquid Investments: Although you don’t have access to your capital for the term of the loan, durations are short compared to most other property investment opportunities. ✅ Short Durations Investment: Loan terms range from 1-12 months usually, though some mid-term investments are offered too. ❌ Tax Considerations: The cash flow you receive will generally be taxed as ordinary income, so a self-directed IRA may be the best vehicle to use to enjoy a tax break. ✅ Diversified Real Estate Investments: You can spread your risk across numerous investments by pooling your funds with others versus concentrating them in a single deal if you were investing solo. ❌ Fixer-uppers: The risk of default may be higher among borrowers who are paying higher rates to finance fixer-uppers and flips. ✅ Taxable & Retirement Accounts: If you wish to invest as part of a self-directed IRA, you can do so as easily as via a standard taxable account. ✅ Passive Income: Investments offer truly passive income opportunities, so you don’t have to roll up your sleeves to source deals and fix or flip properties yourself. ✅ Co-invested Deals: Patch of Land co-invests in every deal so they are fully aligned with your own goals for the deal to succeed. ✅ A-Rated: Patch of Land is an A-rated company by the Better Business Bureau. What if a borrower defaults? Patch of Land looks to mitigate loss but the risk of losing your entire investment is a possible worst-case outcome. 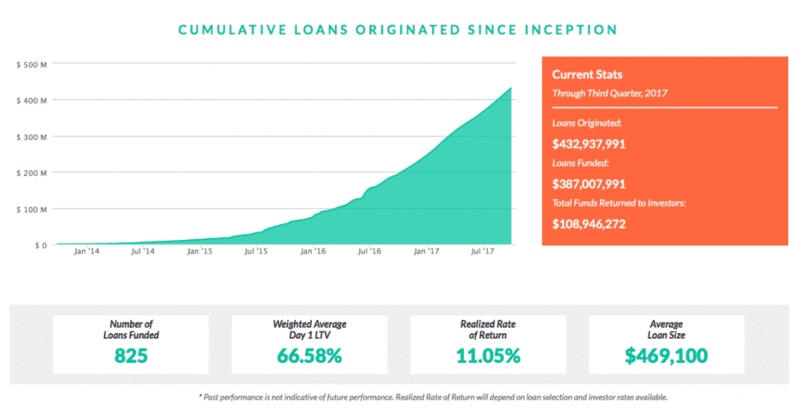 Patch of Land is designed to match investors looking for high returns over short durations with borrowers who need alternative financing to pay for property development projects, such as rehabs. It’s free to use the platform and all returns are quoted net of fees, which range from 0 → 3%. Only accredited investors are permitted to invest, so non-accredited investors should look to Roofstock, Rich Uncles, or Realty Mogul in order to get exposure to the real estate sector. On the one hand, investors can take comfort knowing that Patch of Land co-invests and underwrites deals but, on the other hand, default risk is likely higher than some other crowdfunding real estate services because borrowers are generally paying higher interest rates and many projects are flips and fixer-uppers. Still, properties are pre-vetted by Patch of Land, who puts its own money at risk, and the opportunity to earn passive income at attractive rates that beat bank savings accounts and bond yields is compelling. To optimize for tax impact, a self-directed IRA is probably the best investment vehicle to use otherwise you will likely end up paying ordinary income tax rates, though it is best check with your own tax accountant or tax attorney to check your own individual circumstances. The bottom line is you are looking for exposure to the real estate sector without tying up your money for very long and hope to earn high rates of return, Patch of Land is an enticing option worth checking out. ‹ Uber Visa Credit Card Review – 4% Rewards Dining Out!